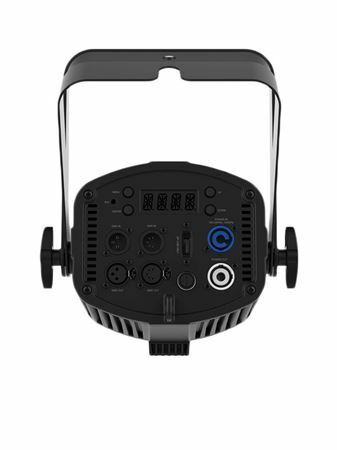 Order your Chauvet DJ EVE P140 VW Stage Light from AMS and enjoy 0% Interest Payment Plans, Free Shipping, Free Extended Warranty & 45 Day Money Back Guarantee. 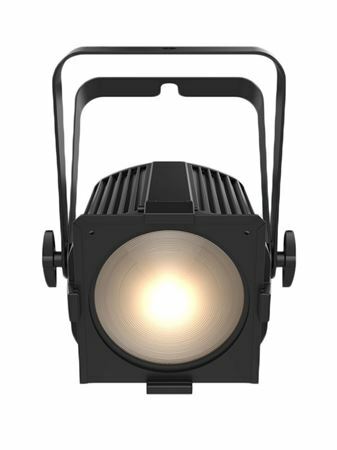 The EVE P-140 VW is a D-fi USB compatible fixture providing the option to control the fixture wirelessly in master/slave mode or with DMX control. EVE P-140 VW is a variable white wash light featuring cool white, warm white and amber LEDs. This sturdy wash light has a built-in gel frame holder and a 6 ¼ inch accessory slot to hold optional barn doors. 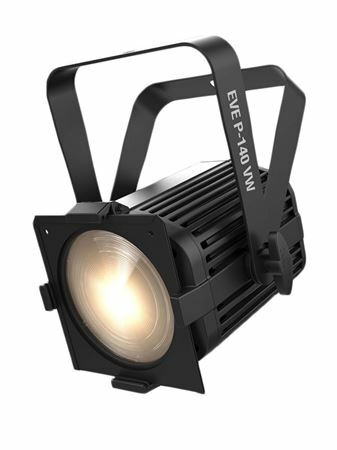 EVE P-140 VW comes with 25° and 45° interchangeable lenses that attach magnetically to alter the beam for added lighting flexibility. PowerCON power connections means secure power connections and power linking. 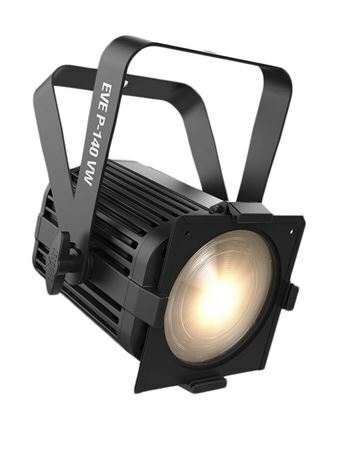 The fixture operates silently due to its fanless design and its flicker-free output make EVE P-140 VW perfect for on-camera use. Both 3- and 5-pin DMX connectors provide added control connection flexibility.